Former Supreme Court Judge, Justice K.T. Thomas has written a letter to Congress Supremo Sonia Gandhi, urging her to “show magnanimity” towards her husband's assassinators. Curiously, it was Justice Thomas who had led the three-Judge Bench which confirmed the death penalty awarded to the convicts in the Rajiv Gandhi assassination case. In the letter dated 18 October, Justice Thomas draws parallels with the award handed down to Mahatma Gandhi's assassinators, but points out that their sentence was remitted after a period of 14 years. 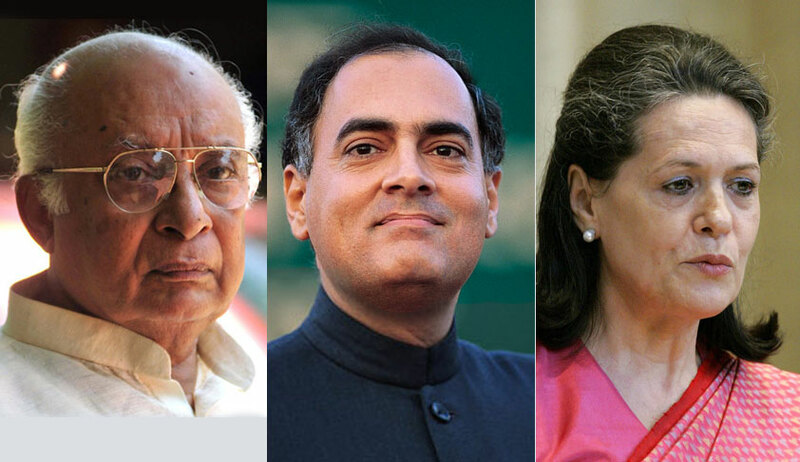 Those convicted for Rajiv Gandhi's assassination, on the other hand, have not been given the benefit of remission even though they have spent almost 28 years in jail. The letter then acknowledges that the decision to grant remission by the Tamil Nadu government in 2014 was opposed by the Centre and states, “Perhaps the Union government would agree if you and Rahulji (if possible Priyankaji also) would write to the President of India conveying your willingness to grant remission to these persons who have already spent the longest period of their life in prison. It appears to me as a matter of human consideration which you alone can help. As the judge who passed the judgment against these persons I now feel that I should address this letter to you so that you can show magnanimity in the situation. I also feel that God Almighty will only be pleased by showing the magnanimity to those prisoners." Justice Thomas is also reported to have told Indian Express that there were “serious flaws” in the CBI’s investigation of the case, particularly related to the seizure of Rs 40 lakh in cash from the convicts, which led him to believe that the probe exposed “an unpardonable flaw” in the “Indian criminal justice system”. In a conversation with LiveLaw back in 2013 as well, Justice Thomas had advocated against hanging the accused, saying, "I learnt that those three persons have been languishing in jail for nearly 22 years. I held the view that executing the death penalty on those three accused at this grossly belated time would amount to double punishment." Interestingly, the CBI’s investigating officer in the case, V. Thiagrajan, also just recently filed an affidavit before the Supreme Court admitting that he omitted certain crucial facts while recording the confessional statement of one of the convicts- A.G. Perarivalan. Besides, a documentary released by the People’s Movement Against Death Penalty (PMADP) had made a similar claim way back in 2013, asserting that the CBI had failed to record verbatim the confessional statement of Perarivalan, Mr. Thiagarajan was then quoted as saying, "Arivu told me he did not know why they asked him to buy that (battery). But I did not record that in the confessional statement. Then the investigation was in progress, so that particular statement I did not record. Strictly speaking, law expects you to record a statement verbatim... we don’t do that in practice." Rajiv Gandhi was killed by a suicide bomber in Sriperumbudur, near Chennai, in Tamil Nadu on May 21, 1991. In January, 1998, a TADA Court had convicted his assassins and awarded them capital punishment. The seven convicted for the assassination are V. Sriharan alias Murugan, A.G. Perarivalan, T. Suthendraraja alias Santhan, Jayakumar, Robert Payas, Ravichandran and Nalini. In May, 1999, the Supreme Court upheld the death penalty awarded to Nalini, Santhan, Murugan and Perarivalan, but commuted the death sentence of three others to life imprisonment. Subsequently, Nalini's death sentence was also commuted by the Governor in view of a Cabinet decision. This was followed by the Supreme Court decision in February, 2014 to commute the death sentence awarded to the others, in view of the delay in disposing their mercy petitions, The Court had also observed that the State may consider releasing the convicts. Thereafter, in May this year, based on Perarivalan’s petition, the Apex Court had directed the CBI to provide a detailed time frame for completing the investigation.